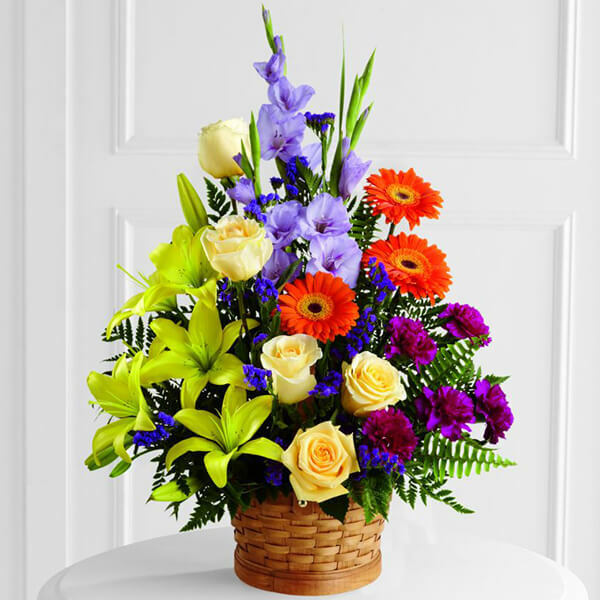 The FTD Forever Dear Arrangement is a colorful assortment of our finest blooms. 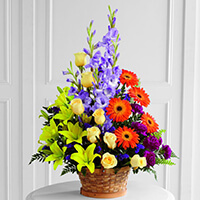 CrÃ¨me de la CrÃ¨me roses, yellow Asiatic lilies, orange gerbera daisies, lavender gladiolus, plum carnations, and purple statice are accented with leatherleaf and sword fern stems. 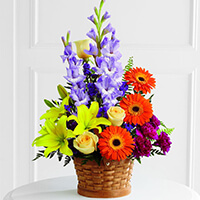 Gorgeously displayed in a natural buff woodchip basket, this arrangement will add to the natural beauty and serenity of their final tribute.